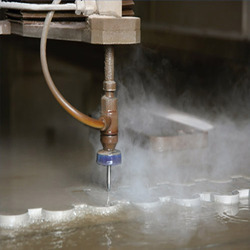 Leading Manufacturer of waterjet cutting services, water jet cutting service and cnc waterjet cutting service from Ahmedabad. Owing to the presence of our experienced team members, we have been able to provide effective Water Jet Cutting Services. These services are rendered using best available Water Jet Cutting machines and under the firm direction of expert technocrats. We utilize optimum quality components and strictly following international industrial standards to render these services and ensure maximum client satisfaction. We are also looking for export queries. 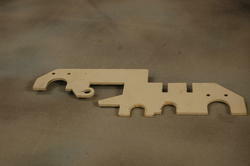 We are reckoned name engaged in rendering superior quality CNC Waterjet Cutting Service. We are leveraging the most advanced water jet technology to cut and fabricate varied sizes and shapes of industrial parts. 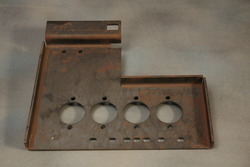 The offered services comprise of fabrication and metal work as per the clients’ drawing and specifications. Further, we take special consideration to the set industry standards and make sure to fabricate quality components under total quality control.